If you’re offended by the concept of a 707 horsepower SUV, then you should probably just stop reading right now. In our age of instantaneous outrage, it’s easy to see how from certain quarters the 2018 Jeep Grand Cherokee Trackhawk could appear as yet another missive intended to inflame the passions of those who have already decided that high-po people movers represent the height of excess in an era where emissions and efficiency are increasingly under the microscope. For everyone else (that is to say, the small contingent of automotive buyers seeking the ultimate in straight-line speed while also towing their boat/camper/house), the Trackhawk is a revelation. 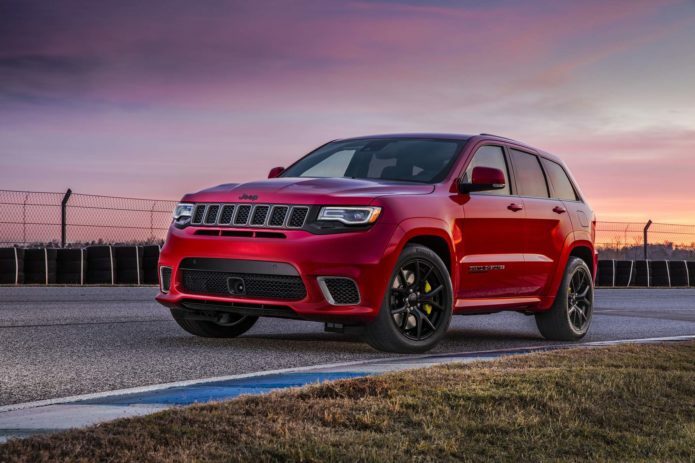 Forget Marvel throwing in a superhero shawarma scene after the credits of the latest blockbuster – by stuffing the supercharged Hellcat V8 under the hood of the uber-popular Grand Cherokee, Jeep has committed the ultimate act of fan-service. This is a truck built for those who bleed Mopar-blue, and it will be almost certainly embraced with open arms by anyone who already owns an SRT product.